The Reserve Bank of India cut the key policy rate by 25 basis points to 6 per cent in order to boost private investments and support domestic growth. Four out of six MPC members voted for a 25 basis points cut, while two called for it to remain unchanged. Five of them called for the policy stance to remain “neutral” while one MPC member voted for it to be changed to “accommodative”. 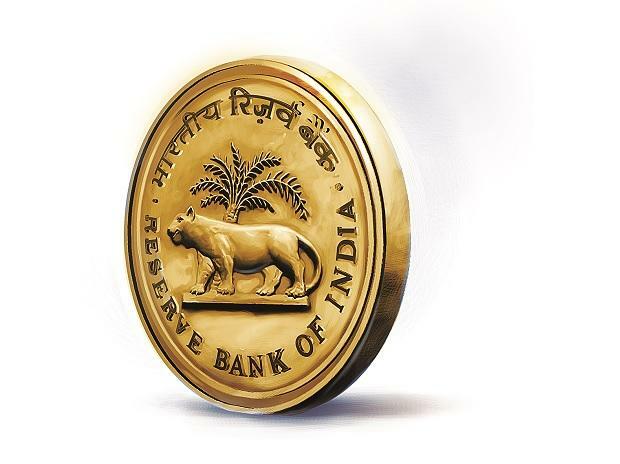 GDP growth for 2019-20 is projected at 7.2 per cent, in the range of 6.8-7.1 per cent in H1FY20 and 7.3-7.4 per cent in H2 with risks evenly balanced, said the RBI. Monetary Policy Committee (MPC) also noted that the output gap remains negative and the domestic economy is facing headwinds, especially on the global front. The path of CPI inflation is revised downwards to 2.4 per cent in Q4FY19, 2.9-3 per cent in H1FY20 and 3.5-3.8 per cent in H2FY20, with risks broadly balanced. 3. Economic activity also slowed down in some major emerging market economies (EMEs). quarter of 2018. Subdued industrial activity and worsening external demand point to a further loss in momentum in Q1. 6. Turning to the domestic economy, the second advance estimates for 2018-19 released by theCentral Statistics Office (CSO) in February 2019 revised India’s real gross domestic product (GDP) growth downwards to 7.0 per cent from 7.2 per cent in the first advance estimates. Domestic economic activity decelerated for the third consecutive quarter in Q3:2018-19 due to a slowdown in consumption, both public and private. However, gross fixed capital formation (GFCF) growth remained in double digits for the fifth consecutive quarter in Q3, with the GFCF to GDP ratio rising to 33.1 per cent in Q3:2018-19 against 31.8 per cent in Q3:2017-18, supported primarily by the government’s thrust on the road sector and affordable housing. The drag on aggregate demand from net exports also moderated in Q3 due to a marginal acceleration in exports and a sharp deceleration in imports led by a decline in crude oil prices. 8. Beyond Q3, the second advance estimates of foodgrains production for 2018-19 at 281.4 million tonnes were 1.2 per cent lower than the fourth advance estimates of 2017-18, but 1.4 per cent higher than the second advance estimates of 2017-18. According to the National Oceanic and Atmospheric Administration (NOAA) of the US, El Nino conditions strengthened during February 2019, which may affect the prospects of a normal south west monsoon. increase in its administered price. markedly during January-February vis-à-vis December. 16. From a daily net average surplus of Rs 27,928 crore (Rs 279 billion) during February 1-6, 2019, systemic liquidity moved into deficit during February 7 - March 31, reflecting the build-up of government cash balances. Currency in circulation expanded sharply in February-March. The liquidity needs of the system were met through injection of durable liquidity amounting to Rs 37,500 crore (Rs 375 billion) in February and Rs 25,000 crore (Rs 250 billion) in March through open market purchase operations (OMOs). Consequently, total durable liquidity injected by the Reserve Bank through OMOs aggregated Rs 2,98,500 crore (Rs 2,985 billion) for 2018-19. Liquidity injected under the LAF, on an average daily net basis, was Rs 95,003 crore (Rs 950 billion) during February (February 7- 28, 2019) and Rs 57,043 crore (Rs 570 billion) in March. The weighted average call rate (WACR) remained broadly aligned with the policy repo rate in February and March. 17. Anticipating the seasonal tightening of liquidity at end-March, the Reserve Bank conducted four longer term (tenor ranging between 14-day and 56-day) variable rate repo auctions during the month in addition to the regular 14-day variable rate term repo auctions. Furthermore, the Reserve Bank conducted long-term foreign exchange buy/sell swaps of US$ 5 billion for a tenor of 3 years on March 26, 2019, thereby injecting durable liquidity of Rs 34,561 crore (Rs 346 billion) into the system. for economic activity. Private consumption, which has remained resilient, is also expected to get a fillip from public spending in rural areas and an increase in disposable incomes of households due to tax benefits. Business expectations continue to be optimistic. Taking into consideration the above factors, GDP growth for 2019-20 is projected at 7.2 per cent – in the range of 6.8-7.1 per cent in H1:2019-20 and 7.3-7.4 per cent in H2 – with risks evenly balanced.